I really love oatmeal….basically eat it just about everyday for breakfast. This is a recipe that I developed last year to create a Fall flavored oatmeal. 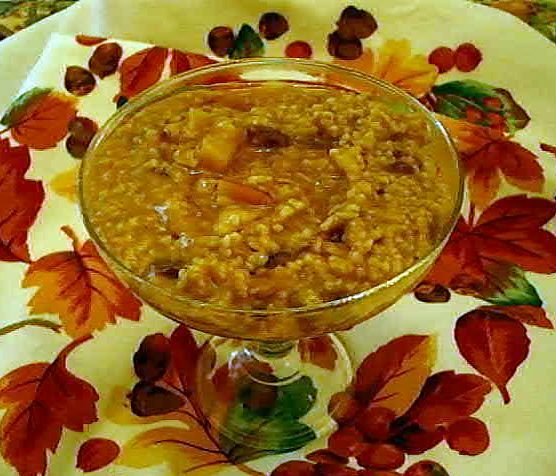 This recipe utilizes Steel Cut Oats (sometimes referred to as Irish Oatmeal). Steel Cut Oats are coarser in texture than rolled oats as the oat kernels are only cut 2-3 times. Traditional oatmel is “rolled”. The extra effort is definitely worth it! Bring apple cider and water to a boil in a medium pot. 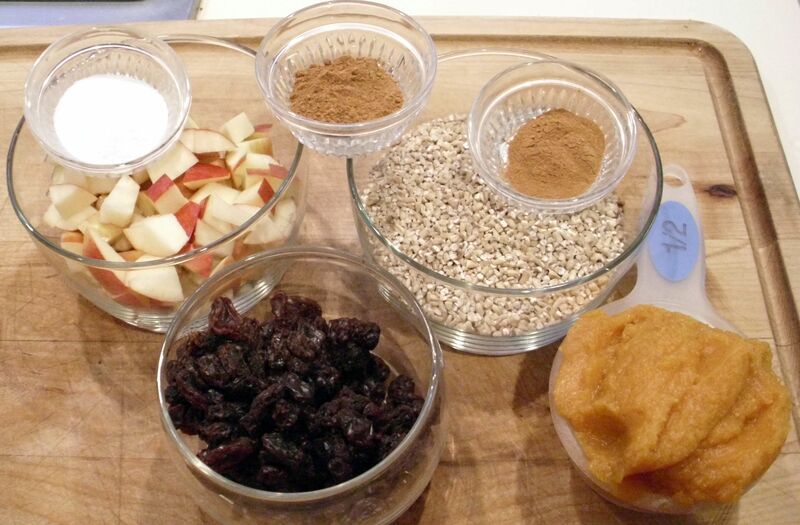 Add pumpkin puree, chopped apples, raisins, cinnamon, pumpkin pie spice, dash of salt, Splenda to the water/cider. Stir to combine ingredients. Lower the temperature to a low and simmer for 20-25 minutes, stirring occasionally. Serve with maple syrup of your choice. I love this recipe. It is a family favorite and it is the only way my oldest son will eat oatmeal. If you want, you can add a dash of vanilla or substitute the raisins for dried cranberries. If it is too time-consuming, you can google information about steel cut oats to find instructions to either pre-soak your steel cut oats overnight or cook them in a slow cooker overnight. Both methods are great time savers.